So you’re probably familiar with the various methods for allowing your wine to breathe. Some simply uncork their wine and let it sit for 30 minutes to 2 hours – depending on the age of the wine. Others specially prep their wine in a beloved tumbler or decanter and serve it alongside food with complimentary flavors. Most wine, particularly stronger reds, benefit in terms of body and taste by being allowed to aerate. 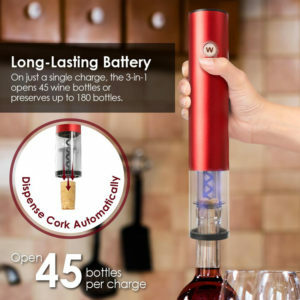 But, you might have some questions regarding wine aeration and how it works. What does “aerate” mean? And what does it do to wine? Aerating means to expose your wine to air (or “opening” your wine to fuller flavors) using whatever techniques you deem best. A common misconception some people have is that leaving their wine uncorked will work the same as a decanter or aerator. However, this is a mistake! Leaving the wine inside of the bottle is an ineffective technique and does very little to oxidize the compounds in the wine, as it only exposes the wine closest to the bottle’s neck. So more invasive methods are necessary to introduce air to the wine compounds and speed up your aeration process from HOURS to minutes – or in the Waerator’s case, SECONDS. Some people leave their wine out for a few hours in decorative decanters, others who want their wine aerated immediately use blenders or (for more effective results) electric aerators. What does air do to the wine? Introducing air into your wine does two very important things: A. It allows for oxidation and B. Let’s undesirable compounds in the wine to evaporate. Doing these two things helps bring out the more aromatic and flavorful tones in your wine – emphasizing the high notes underscored in the wine. Why is it important to aerate your wine? 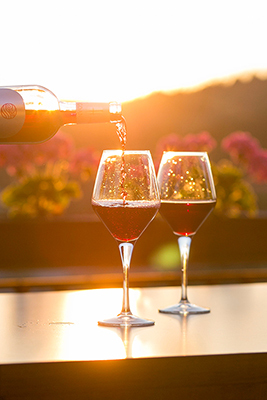 Aerating your wine helps elevate the overall taste and helps get ride of unsavory compounds—some that may negative effect your wine’s taste and body, others that can cause those nasty wine headaches…. However, be careful! Leaving your wine out to sit or aerate too long can termate a lot of the natural and unique flavors…especially in older wines, which are more delicate. If you chose to use an electric aerator, you could instantly take a $10 wine and elevate its taste to that of a $20 wine. It will also help reduce the sulfite levels in your wine, which is always a huge plus. Bonus. 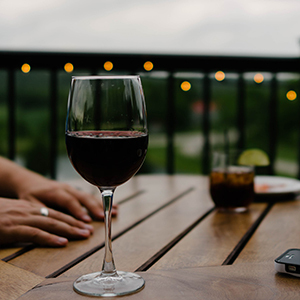 Using an electric aerator like Waerator® means you don’t risk leaving your wine to sit and oxidize too long, avoiding any of the negative side effects! What is a Waerator® exactly? How is if different from other wine aerators? 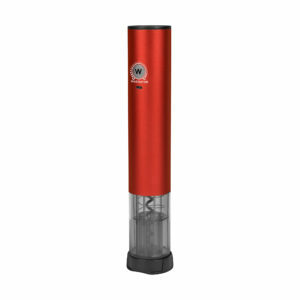 Waerator® is an electric wine aerator. 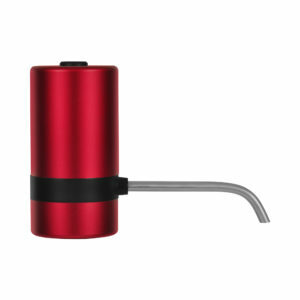 Using motor, hose, and spout, the Waerator® draws air into the wine and instantaneously oxidizes it from inside the bottle. 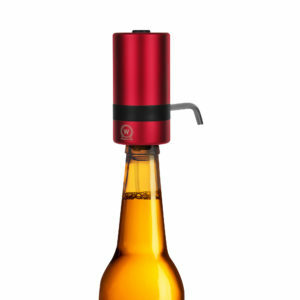 After that, the Waerator® pushes the wine upward and out of the bottle, exiting seamlessly through its specially designed spout, directly into your glass. The button on top ensures you retain full control of the pour, so you can literally pour the perfect glass of wine with the perfect flavor profile! Sulfites are a chemical added to wine to act as a preservative. The tradeoff: while it keeps your wine from browning or spoiling, it can leave a lingering burnt-matchstick taste and give some wine tasters mild headaches. It depends on the age of your wine. Younger reds usually require more time—typically around one to two hours total. 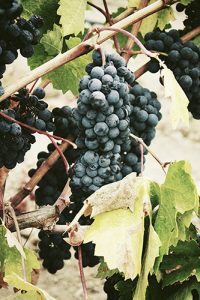 Older red wines need less time, so you won’t flatten the more unique aromas and flavors this wine has acquired over time. However—using an electric aerator allows you to skip the long wait time between opening your wine and enjoying it. How long does an aerator take to “open” my wine? 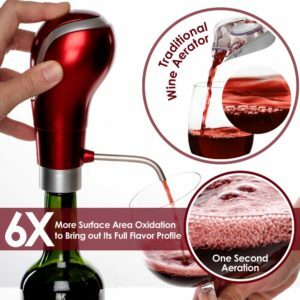 Instead of sitting and waiting hours for your wine to open, you’ll be able to boost the flavor of your wine in mere seconds using an aerator! It’s great for unexpected guests or hasty dinner plans, or if someone brings home a surprise bottle of red wine. 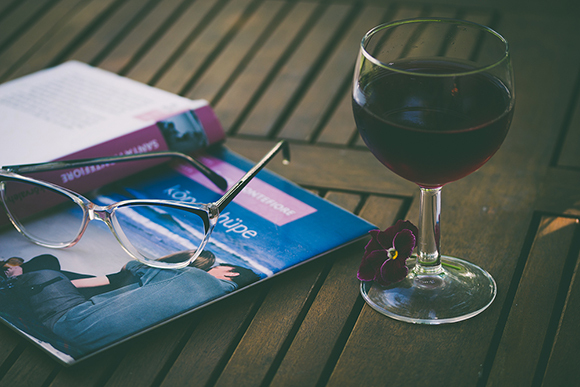 How do you choose the best aerator for my wine? If you have the patience of a saint, there are many wide bottomed decanters that would look lovely in anyone’s home. Some people choose to run their wine through blenders and see mixed (no pun intended) results. To get the best and quickest results, however, the Waerator® just might be like Baby Bear’s bed—juuuuuust right. Where can you buy a wine aerator? 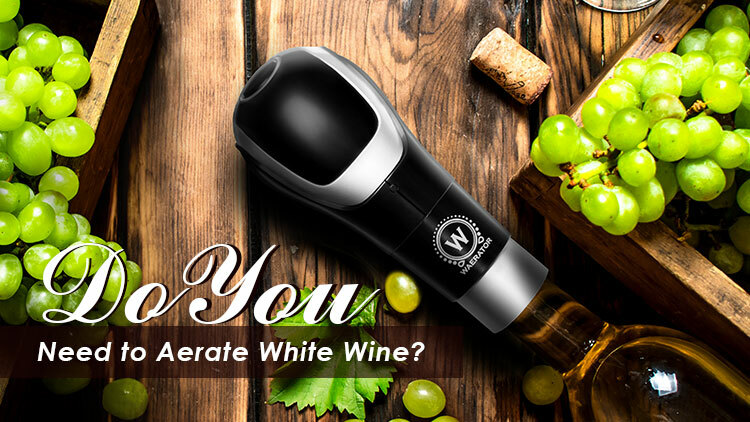 The best places to wine quality wine aerators are at your local wine stores, or through verified online vendors such as Amazon, or even the brand’s specific website (like Waerator®). Phew, that was a lot of information. Take a moment to absorb it all. 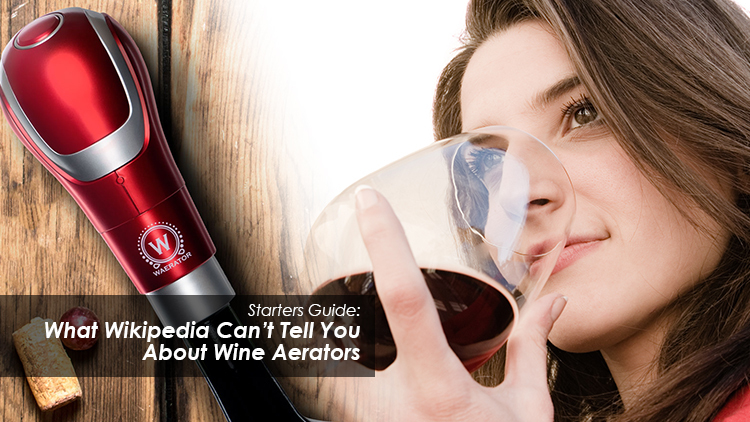 You’re now armed with the best facts for diving right into the word of wine aeration! You’re ready to start boosting the flavor of your wine stash at home. Hot Tip: You can even use it to impress fellow wine lovers, at a discount. Pour some cheap wine in the kitchen using your aerator and serve—they’ll be shocked at all the flavors your aerator can bring out in a $10 bottle of wine. You’ll be able to instantly compliment any meal or make a palatable toast anywhere, anytime, with your aerator. Bonus – it’ll help eliminate wine headaches! 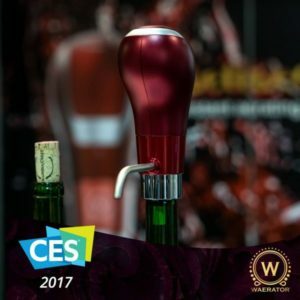 So, whether you’re a wine novice, wine expert, or just a plain old wine enthusiast, the Waerator® makes the perfect addition to any kitchen…as well as the perfect gift for pretty much ANY holiday. Should You Aerate Your Favorite White Wines? 21 Things you didn’t know about wine!